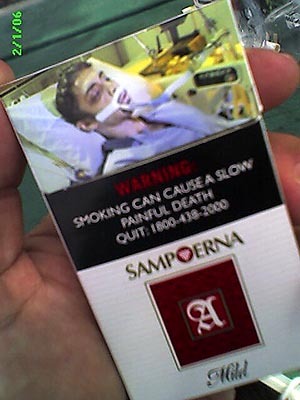 The warning labels on cigarette packs overseas with a nice graphic photo of some dude hooked up to a respirator. How’s that for a warning? But folks still smoke.